Posted on 8, November 2016 by EuropaWire PR Editors | This entry was posted in Aviation & Aerospace, France, Transportation & Logistics, Travel and tagged APU, business jet, Safran, Safran Power Units. Bookmark the permalink. 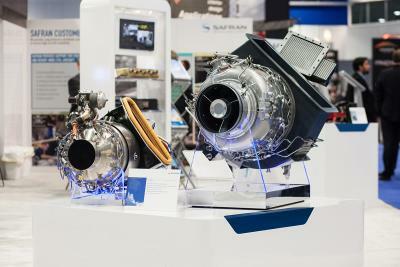 ORLANDO, FL, U.S.A., 08-Nov-2016 — /EuropaWire/ — Safran Power Units has announced the designation of its two latest APUs for the business jet market. These name changes are part of the full acquisition in 2014 from Pratt & Whitney of two strategic programs currently under development. APU for the Bombardier Global 7000* and 8000* is now designated SPU300[BA]. The SPU150[DA] and SPU300[BA] are state-of-the-art electric and pneumatic power sources. The SPU150[DA] is specially designed for midsize and super midsize business jets. The SPU300[BA] is meant for long range, high performance business jets. Safran Power Units is committed to providing reliable and competitive power systems and services to meet the demands of new generation business jets.